Whether it’s home-based workers or teams operating across disparate sites, many businesses are struggling to make the remote working vision a reality. Contrary to popular belief, Maintel’s flexible working study revealed the differing preferences between the multi-generational workforce, with the younger generation preferring to work from the office rather than remotely. This was in clear contrast to baby boomers, who would rather work from home. The research, which polled 1,000 working adults in the UK, also found that 48% of those aged under 35 feel they are most productive in the office, while only 19% of those aged above 55 agree. 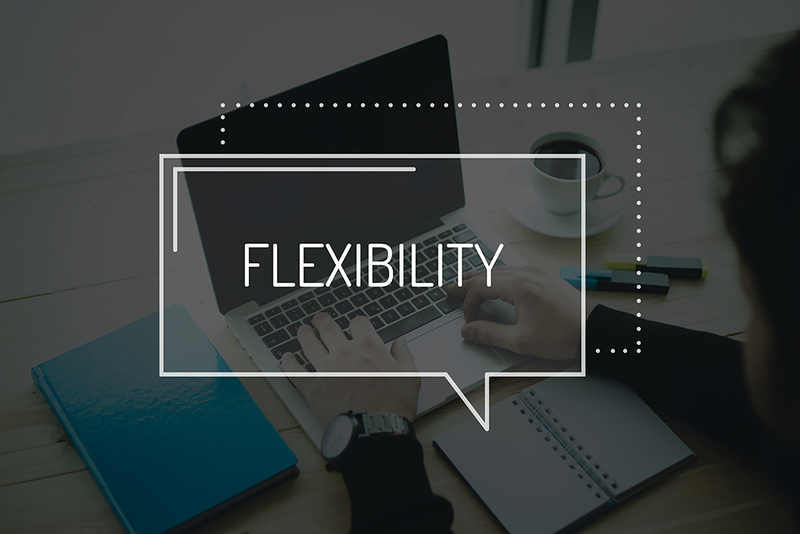 In light of this, businesses can no longer enforce one-size-fits-all flexible work policies among varied, multi-generational workforces. While working from home one day a week is fairly common, for example, it may not work for every employee in an organisation. Today employees of all ages want to work where they feel most productive, leaving it up to the business to ensure that workers are equipped with the right tools to keep in touch wherever they are. With this comes obstacles which many businesses are yet to overcome, whether it’s maintaining connectivity across disparate sites, equipping staff with intuitive technology they actually want to use, or training and educating teams to effectively use information and communication technology (ICT) tools. These are all contributing factors as to why mainstream adoption of remote working has yet to come to fruition. To help identify and implement the best tools to create optimal remote working environments, there are three key challenges companies should consider. While the older generation may prefer remote working due to commitments at home, our study found that 28% of all workers have trouble getting hold of colleagues or managers when working remotely. For younger workers this may also explain the preference towards office-based work, giving them more face-to-face support from experienced co-workers. But it may also be down to the social aspects of office life and when seeking promotions – ensuring the visibility of hard work. What’s clear is maintaining inclusiveness within teams is challenging when employees are split between the office and their homes. Phone calls alone are simply not enough. Ad-hoc video communication needs to be a priority for businesses, allowing employees across disparate locations to feel more included in discussions. The advantage of video calls is that they allow for gestures and body language, adding dynamism and context to discussions – a benefit which shouldn’t be underestimated. Virtual ‘face-to-face’ conversations need to become common flexible working practices if businesses are to foster a more inclusive team culture. Successfully embracing remote working isn’t just about technology– it also demands that businesses develop the right values and culture. Building a culture whereby an organisation values output and productivity regardless of location, and empowering them with the tools and training required to do so, is crucial to making remote working work. Working alone, whether at home or on-site, can be demotivating. Whether you’re working in an office or disparately across multiple locations, efforts need to be made within teams to ensure everyone is kept up-to-date and in constant contact. Presence information, for example, is an invaluable tool for people working remotely, enabling workers to see who’s available to them in real time, while allowing homeworkers to work together on documents with collaboration tools is hugely beneficial to productivity. When spread over multiple locations, time together as a team needs to be specifically allocated, whether in the form of video calling or using online messenger tools to brainstorm or collaborate. The process needs to be coherent and manageable from both the desks in the office and the ones at home. Implement robust data access controls and authentication to ensure remote workers are who they say they are. While it sounds obvious, successful remote working policies start with getting the basics right by making sure people can effectively communicate over voice and email. By offering workers secure and reliable access to key business applications, information, services, and tools to easily get in touch with co-workers at home, on-site or on the move, organisations can improve employee morale, performance, and ultimately retention and productivity. This also includes creating the right work environment which balances multi-generational employee preferences and the needs of the business. Therefore, companies need the right mix of office space, flexible work policies, multi-site connectivity, training and technology to ensure remote working is successful. Rufus Grig is as an industry expert and frequent conference speaker, contributing regularly on the subject of the future of the telecoms, UC and contact centre markets. Since joining Maintel in May 2016 as Chief Technology and Strategy Officer, Rufus is responsible for overseeing three key aspects of the business: product and service offering, in-house product development and go-to-market strategy. Prior to his current role, Rufus was CTO at Azzurri Communications and was Managing Director of Callmedia.